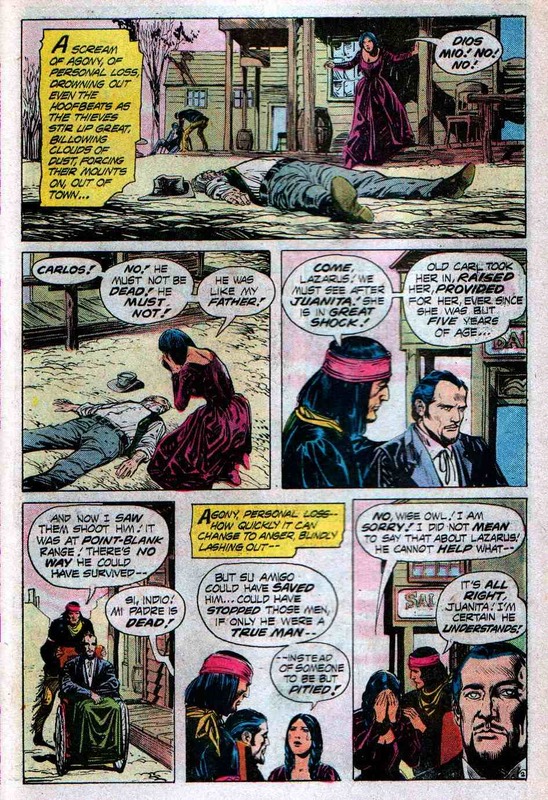 Here's the final El Diablo solo tale of the Groovy Age, and what a way to go out! 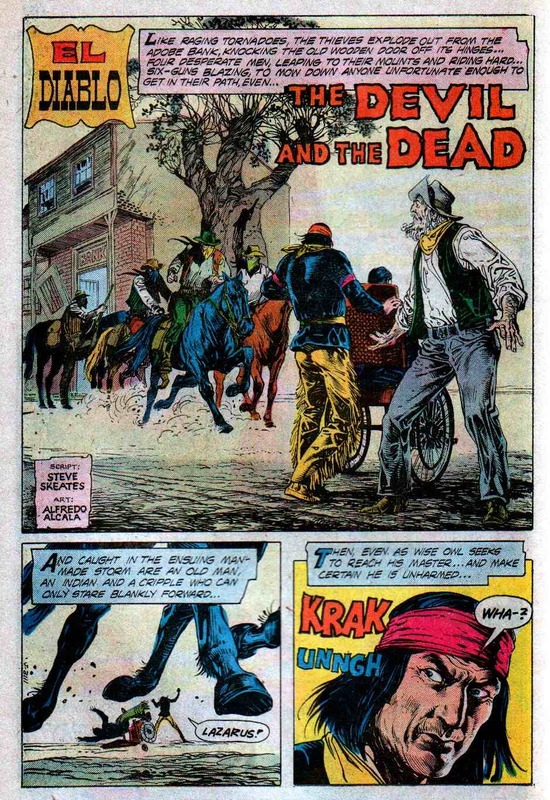 Script by Steve Skeates and incredible art by Alfredo Alcala. 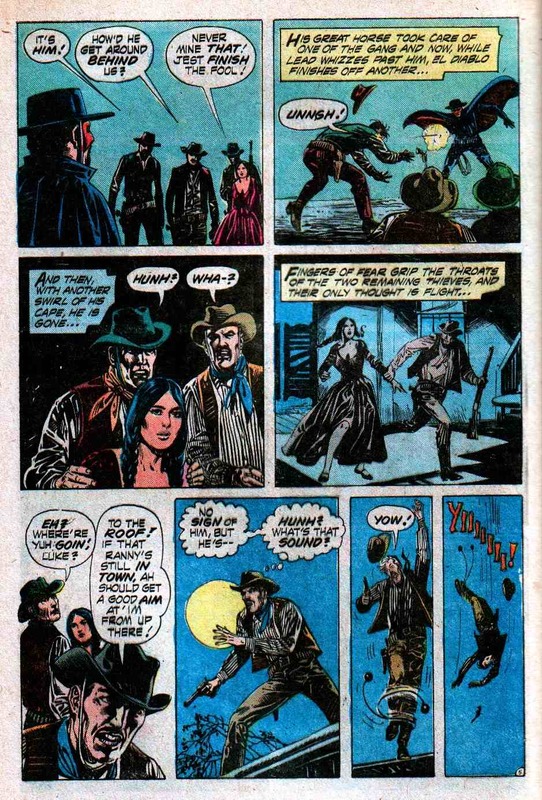 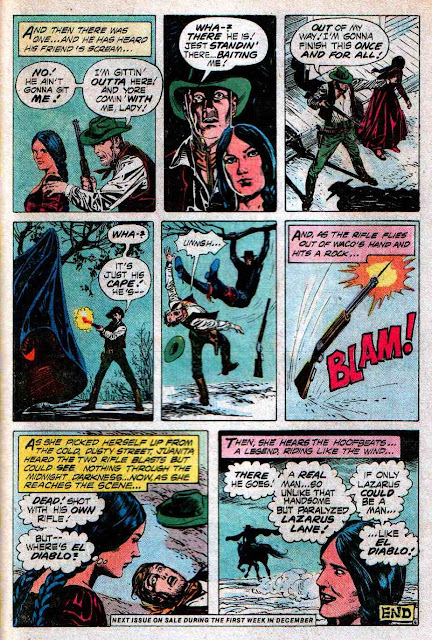 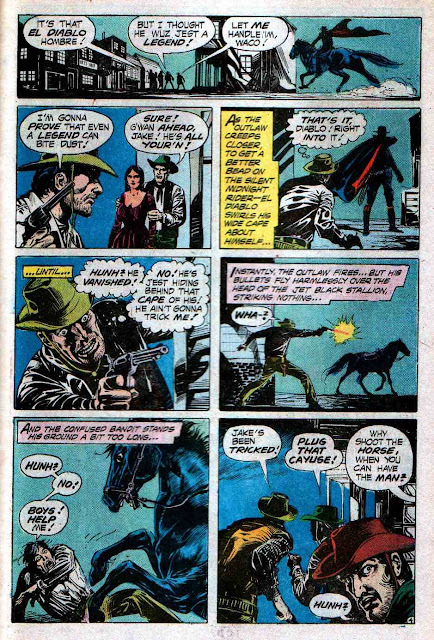 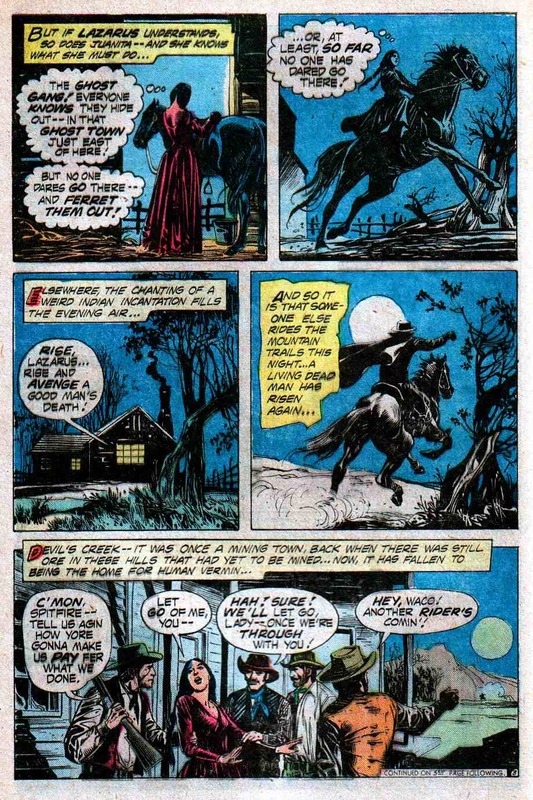 From Weird Western Tales #32 (October 1975) here's "The Devil and the Dead!"